Who’s Background Screening Your Independent Contractors? When a worker representing your company commits an intentional or unintentionally-harmful act – i.e. data breach, auto accident, assault, theft, etc. – does it really matter if that person is a full time employee or simply an outside/independent contractor? In your eyes it might. But in the eyes of your customers and other outsiders (think media), the answer is most likely no. Employees and independent contractors are often viewed as one in the same from an outsider looking in, especially when things go wrong. That contractor that comes to your home to install an appliance you purchased at the local big box store might not be an employee of the store, but who do you think is getting the call if that person causes harm while on the job? A recent Cornell HR Review essay by Chelsea Vandlen reported some interesting statistics about the increasing temporary workforce. Hiring temporary workers in the United States is on the rise and in the past year alone has grown by an average of 25,000 jobs per month, seasonally adjusted. Partly due to cautious post-recession hiring, other research suggests that the increase in temporary employment might actually be anything but temporary. According to Vandlen, a recent Economist Intelligence Unit study found that 67 percent of 479 senior executives plan to maintain “leaner” organizations by outsourcing work or hiring contract workers. What’s more, labor law firm Littler Mendelson predicts that contingent labor—which more broadly includes independent contractors, staffing agency “temps”, seasonal workers, and part-time employees—could eventually comprise up to 50 percent of the U.S. workforce. The benefits to employers of hiring independent contractors can be quite significant. Improved productivity and flexibility, along with lower fixed costs, are key reasons for selecting independent workers. But the risks of independent contractors are also worthy of attention. When you consider an organizations’ responsibility to provide a safe workforce, due diligence cannot stop with employees. Employment screening is a particular example of a due diligence strategy that crosses the boundary between employee and independent contractor. Considering the risks and responsibilities held by anyone and everyone representing your organization – employees and contractors alike – organizations would be remiss to overlook the need for independent contractor background screening. Think about who will manage the program. Especially if you have a large pool of independent contractors, it’s important to consider who will maintain the “checks and balances” of ensuring that all contractors are screened before they reach your jobsite. If you’re working with a staffing agency or other firm who provides contractors to you, will they manage the screening as a requirement of their contract? Or will someone in your organization be responsible for the task? Know what type of background checks you need for each role in the organization. As with employees, independent contractors are assigned certain “roles” within your organization. What type of background check will you require for each role? Are they the same checks required of your employees? Decide what’s acceptable and what’s not. How will you judge the results of a background check as it relates to the role at hand. If you’ve got an independent contractor who will be operating a vehicle, what kind of driving record will be acceptable? If your contractor will have direct contact with sensitive customer data, how will you judge the results of their background check? Select the right provider and technology for the job. 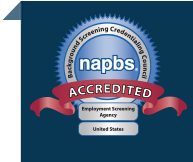 Your background screening company should be able to offer a solution that includes both the background screening services and the technology to track the status and results of your contractor workforce screening. The right vendor will make your job much easier and help you remain compliant with the many laws and regulations that will impact your efforts. At Proforma, we offer independent contractor background screening services to companies of all shapes and sizes. Let us craft a comprehensive screening program that includes all the necessary technology to make your job easier and to protect your organization.